> > >   pre-edit string distinguishable from regular text. > can also be useful in certain cases. I think this use case is covered. For indicating what's currently being changed, this protocol is using "preedit string". 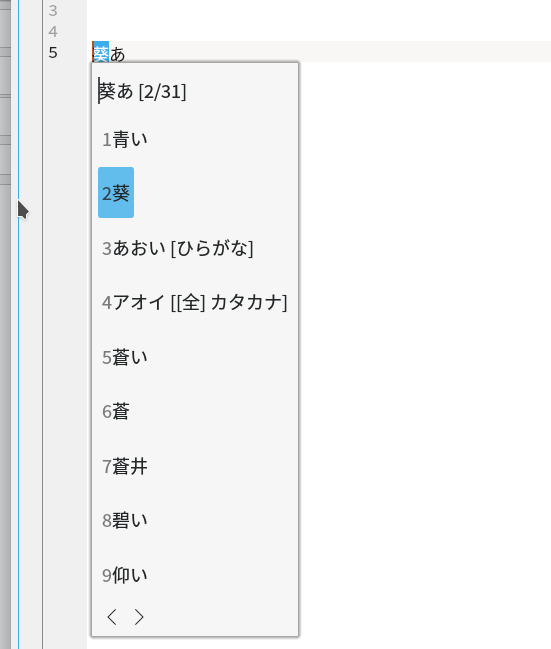 In GTK, the preedit text is displayed with an underline, making is always clear what the suggestion pertains to. > > >   the keyboard focus rectangle is covered by the input panel. > > >   changes), instead of state requests being independent from focus. > > >   conciliate this piece of information flowing in both directions. > > >   identical to wl_keyboard's, compositors might just use that interface. > using the custom layout (e.g. position of ctrl + z is different under us/de). > works, especially when there is no real phyiscal keyboard. I read it the same way. At the same time, I also don't see a reason to duplicate the keyboard interface in another protocol - the compositor can tell the application that there's a regular (but virtual) keyboard connected and send events using the regular wl_keyboard protocol.